Anise or aniseed, botanically belongs to the Apiaceae family of the genus Pimpinella and known scientifically as Pimpinella anisum. This spicy plant is native to Middle-East and Mediterranean region. Anise is a perennial herbal plant; generally, grows up to a height of about 2 feet. It bears white colored umbrelliform flowers by July, and is harvested by cutting the whole plant once the seeds ripened. The seeds feature oblong or curved like comma shape, about 3-4 mm long, light brown color and fine stripes over its outer surface. 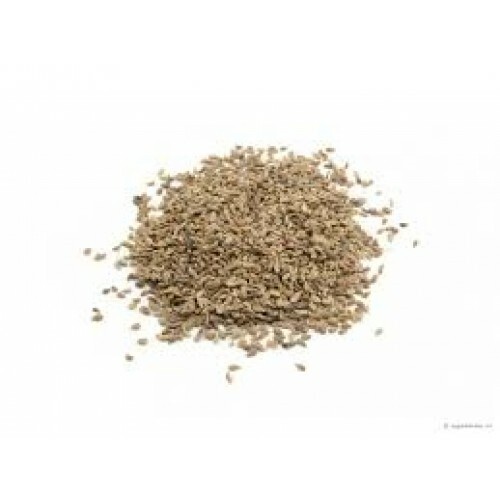 The main constituent that gives characteristic sweet, aromatic flavor to anise is anethole, the essential volatile oil present in the seeds. Other important compounds found in these seeds include estragol, p-anisaldehyde, anise alcohol, acetophenone, pinene and limonene. horse 600 kg; maximum of 30 grams per day . Store anise in airtight containers; place in cool, dark place.